This is a detailed SAPPORO TRAVEL GUIDE blog with sample SAPPORO ITINERARY and budget, top things to do, budget hotels, Sapporo travel tips, etc. Sapporo is an urbanite’s dream. Its finger is on the pulse, constantly embracing new developments, but somehow, it doesn’t feel confusing or intimidating unlike other megalopolis. When Sapporo hosted the Winter Olympics in 1972, it finally caught the attention of the world that it surely deserves. Now Sapporo, is a fast-rising tourist destination, a good introduction and base when exploring Hokkaido. This sprawling city is best known for its snow festival, the largest of its kind in the country. It’s one of the most accessible and nearest winter destination to the Philippines and Southeast Asia where you can actually experience a real snow fall. Here’s a comprehensive Sapporo Itinerary and Travel Guide to help you plan your trip. I will be writing a separate blog about Hokkaido. Sapporo is Hokkaido prefecture’s capital. It is massive, but doesn’t feel confusing. Thanks to its grid system with wide avenues and parks, which makes exploring the city quite easy. Odo-ri Koen divides Sapporo in half : north – south, while Sosei-gawa splits the east from west. East-west streets are known as jo, while those on the north and south are chome. The heartening simplicity of Sapporo city’s layout was a result of a visit to the President of the United States in 1870 by the then Hokkaido’s Governor, who sought help from the Americans to design the capital on the site of an Ainu village. Fast forward to 1972, when Sapporo hosted the Winter Olympics, it introduced itself as a global metropolis, exuding a pretty much cosmopolitan vibe, by building a subway system and modern structures. It’s far from the cultural city you expect to find in Japan, lacking pre-Meiji historic sites like those found in Kyoto or Nara. Sapporo has its own distinct attractions to flaunt, from parks to festivals, to man-made attractions. For tourists, Sapporo is best known for the Sapporo Snow Festival held every February, the grandest of its kind in Japan. It was founded in 1950, with only 6 snow-carved figures made by high school students to entertain the residents who were lonely and depressed after the war and long winter nights. Today, Sapporo Snow Festival has grown into a commercial and major winter event in Hokkaido, attracting over 2 million tourists with its hundreds of gigantic snow and ice sculptures created by the locals that are sprinkled around Odori Park, Susukino, and Tsudome. But perhaps what introduced Sapporo to more Filipinos is the movie Kita Kita, which could mean “I Saw You”, or “I Saw You in the North” (since kita in Japanese means North and Sapporo is located in Northern Japan). Thankfully, more and more airlines now fly from Manila, Philippines to Sapporo, but the most affordable is Jetstar. Recently, I flew to Sapporo via Jetstar, and I got to finally experience, how it feels like to be in this city. Here’s a comprehensive Sapporo travel guide and itineraries to help you plan your trip. Winter (December to February) – As Sapporo and Hokkaido in general is famed for its snow and winter activities, best to visit during winter. It is one of the nearest destinations to Southeast Asia to experience winter with actual snowfall! Yes, Sapporo is a real winter wonderland! Also, not to miss are the snow festivals happening around Hokkaido during February. The Sapporo Snow Festival is usually held during mid-February, same with the Lake Shikotsu Ice Festival and Otaru Snow Light Path Festival. Ice villages and igloos in some resorts in Hokkaido are also popular during the winter season. Spring (late March to May) – Spring in Sapporo is also busy, as the city is flocked by tourists. Climate is pleasant as it is moderately cold during these months but precipitation can be high, check the weather updates when planning your spring itinerary. Sakura blossoms (cherry blossoms) bloom late in Sapporo, typically around early May. Summer (June to August) – This is an off-peak season in Sapporo, but a good month to pay a visit if you want to save on accommodation and visit the gorgeous flower fields in Furano. Some parks in Sapporo like Odori Park are also peppered with colorful flowers during this season. Autumn (September to November) – Also an off-peak season for Sapporo as it can get pretty chilly and windy, but me thinks it’s also a good month to visit to see the colors of Hokkaido national parks. The Hokkaido Historical Village, just a few minutes away from downtown Sapporo, also looks stunning during this season, so if you’re visiting during fall, don’t miss it! JAPAN VISA: If you are a Philippine Passport holder, you need a Japan tourist visa to enter Japan for tourism. SAPPORO WI-FI: I used a pocket Wi-Fi from Klook during my entire stay. It is good for up to 5 devices at once. It was pretty reliable, I picked it up at the New Chitose Airport International Arrival Lobby. So, if you are arriving in Sapporo by Jetstar, you need to make your way first to the International Arrival Lobby of New Chitose Airport to claim it. SAPPORO MONEY: Most establishments in Sapporo accepts cash or credit card. But cash is widely accepted especially by small establishments. You can withdraw from internationals ATMs available usually found at major train stations like Sapporo Station, at convenience stores like Lawson and 7Eleven and at New Chitose Airport. If your card doesn’t work at first try, give it another try and usually it works on the 2nd try. Money exchange centers are plenty at New Chitose Airport, but you may have a hard time looking for one at downtown Sapporo. Before leaving the Philippines, you can also exchange your PHP to JPY at money changers. I like Sanry’s rate, just Google the branch nearest to you. SAPPORO ELECTRICITY: Sapporo uses 2 electric plugs, Type A and Type B. If you’re from the Philippines, we use the same type of power plug, so I didn’t need to use my travel adapter. For other nationalities, best to bring a travel adapter. Japan standard voltage is 100 V and 50 HZ for Eastern Japan including Hokkaido. I recommend staying near the subway especially near Sapporo Station or Odori Station. I stayed in 3 hotels during my stay, they were near Odori Station, Sapporo Station, Kita Junijo Station and Nakijama Koen Station. Kita Junijo Station is also a good area as it is near Sapporo Station, while Nakijama Koen Station is near Susukini Station – the nightlife and shopping area. Here are the hotels I used while in Sapporo, I visited Sapporo twice just this year during winter. I like this hotel as it is pretty convenient, a mere 2-minute walk from Kita Junijo Station and about 10-minutes on foot from Sapporo Station. The hotel is also near Hokkaido University. My room was clean though a bit old, but it’s comfortable and equipped with refrigerator and TV. My favorite budget hotel in Sapporo because it is pretty clean and comfy. The room is simple yet elegant-looking. There’s a table where I can work or blog when I want too. It is equipped with TV and refrigerator, there’s a sort of heater where you can heat water, noodles or drinks. A 7Eleven store is just across the road. The hotel is a mere 5-minute walk away from Nakajima Koen Station and Nakajima Park. Downside is, there’s not a lot of restaurants or café nearby despite being surrounded by bigger luxury hotels. Never stayed here but I often passed by here on my way to Sapporo Station. It has a pretty convenient location, really close to Sapporo Station. One of the cheapest hotels in Sapporo, cheaper than their other branches in Sapporo. It is conveniently located near Susukino area. Hands down to this hotel as it is equipped with washing machine, refrigerator, microwave and TV in the room! It is conveniently located near Odori Station and Sapporo TV Tower. It is pretty spacious too! We stayed at this hotel during our Sapporo fam trip. It’s a comfy hotel but I find the room a bit cramped, I couldn’t even open my luggage. They have buffet style restaurant, Japanese restaurant, and the pretty stylish serving Western dishes at the 1st floor. Jetstar flies between Manila and Sapporo daily via Tokyo. It is one of the most affordable flights you can fly. I took this route during my recent trip to Sapporo and the flight went smooth and comfortable. There’s a lay-over in Tokyo, so if you also plan to make a quick visit to Tokyo, plan your itinerary well. Jetstar flight is pretty cheap compared to other airlines, but they are pretty strict with the luggage weight especially Jetstar Japan. Carry-on should only be 7kg. So, I highly recommend you book a checked-in baggage especially if you are traveling during winter, (20 kg or 30 kg), you can save a lot if you book in advance. If you book the 30kg checked-in baggage, you can opt for an exit row seat, which gives you enough leg room compared to regular seats. Jetstar offers cheap flights between Tokyo and Sapporo. Travel time is about 1 hour and 30 minutes. It’s quite cheap, so if you are already in Tokyo, you can take this route. 1.From Tokyo, take the Jr Tohoku/Hokkaido Shinkansen to Shin-Hakodate-Hokuto Station. Travel time is about 4 hours. 2.From Shin-Hakodate-Hokuto Station, transfer to Hokuto KImited Express to Sapporo. Travel time is about 3.5 hours. Quite expensive if you ask me, better use your JR Pass. At New Chitose Airport make your way to New Chitose Airport Station located at the basement. Just follow the sign. Buy your JR ticket from the vending machine. You can pay extra for reserved seat if you want. If you have a JR Pass or JR Hokkaido Pass, you can use it here. Or just go for non-reserve seat (FREE). Board the JR Train bound for Otaru or Sapporo Station. (Take note that Shin-Sapporo Station is different from Sapporo Station). Go for the limited express train, avoid the local train as it will stop at every station and will eat your time. Get off at JR Sapporo Station. Tip: Be at the designated track as early as possible to secure a seat if you didn’t book a reserved seat. Many tourists and locals are traveling by train to downtown Sapporo so the non-reserved car is usually full. You can also take the Airport Bus to downtown Sapporo, but travel time is longer and may be delayed depending on traffic condition. No reservations required, so you can take the next bus if the bus you’re trying to board is already full. You can pay on the bus or purchase a bus ticket at Hokuto Kotsu bus counter ANA arrival lobby using credit card, cash, or IC card (except Sapica or PiTaPa). Large baggage will be put inside the trunk. Never tried this though, so I can’t really tell you much. I always use the train. If you are traveling in group and you have the money to spend, you can rent a car for a convenient transfer from New Chitose Airport to your hotel in downtown Sapporo. Here are several ways to explore Hokkaido. I only used 3: By train, by bus, and by walking. Some attractions in Sapporo are concentrated near each other. So, it’s easy to explore them by walking, especially because the city has a grid design, which makes finding your destination easier. Check out the top tourist attractions I listed below per the nearest subway station. You can also walk along the Pole Town mall. What I like about Sapporo is, it’s pretty easy to get around the city by subway because the subway system only consists of 3 lines: Namboku (Green Line), Tozai (Orange Line), and Toho (Blue Line). I found myself using the Namboku Line often as my hotels (I stayed in 3 hotels during my stay) were near Odori Station, Sapporo Station, Kita Junijo Station and Nakijama Koen Station. Here are the train/subway cards and passes that can save you a few bucks to your travels around Sapporo or beyond. Which one to use? Depends on your itinerary. To skip buying tickets every time I ride the train, I used the Kitaca Card. It’s rechargeable IC card of Hokkaido, pretty much like Osaka’s ICOCA Card. You can use it to ride the train in Sapporo and in many places in Hokkaido. You can also use it on JR buses. You can purchase a Kitaca card via Klook through the link below. It’s pre-loaded with ¥1,500/$14 (₱705) and pick it up at New Chitose Airport or Sapporo TV tower, whichever is convenient for you. When to use: If you’re only traveling around Sapporo and Otaru. You can also get a One-Day Card for Subway only. Price is ¥830/$7 (₱391) for adults and ¥420/$4 (₱197) for children. When to purchase: If you will be riding the subway 5 times or more within 1 day on a weekday (Monday to Friday). Donichika Ticket: Unlimited 1-day subway ride, available only on Saturdays, Sundays, and national holidays. Price is ¥520/$5 (₱244) for adults, and ¥260/$2 (₱122)for children. When to purchase: If you will be riding the subway 3 times or more within 1 day on a weekend (Saturday and Sunday) or national holiday. If you plan to travel beyond Sapporo, perhaps you want to explore other destinations in Hokkaido for 3 – 7 days, you can get a JR Hokkaido Pass. It offers unlimited travel within designated areas via JR Hokkaido trains (Limited Express/Express and local trains) and JR buses. I find it very helpful during my stay in Hokkaido because this prefecture is really huge, my travel destinations are quite far from each other, and train transport is quite expensive. You can check the train fares using Hyperdia on the dates of your trip, then add up the fares. Then, compare the total costs of train fares to the JR Hokkaido Pass rate to see it you really need one. As for me, using JR Hokkaido Pass really served me well because I didn’t have a fixed itinerary since I was traveling to uncharted areas without much information on getting there, bus schedules, etc. So, having a JR Hokkaido Pass was such a relief, I can change my route whenever need to. I will write a separate itinerary blog on Hokkaido where you can use a JR Hokkaido Pass. You can purchase a JR Hokkaido Pass via Klook, your exchange order will be mailed to your home address as it is only available outside Japan, then you need to claim your pass in Japan. Because this is only available for foreign tourists, so you need to bring your passport when claiming your JR Hokkaido Rail Pass. Also, you don’t have to use it right away, plan when you will use it as you need to use it consecutive days. IMPORTANT: JR Hokkaido Pass and JR train tickets can’t be used on subways, streetcars, or buses (except for JR fixed-route buses in the city). Use your Kitaca card for subway rides. There are 2 loop buses in Sapporo called the “Sapporo Walk” bus (Chou Bus 88). You can check the bus schedules, route maps, and transfers using the Eki-Bus navi. You can find the “Sapporo Walk” bus (Chou Bus 88) near Sapporo Station, in front of the South Exit of the Tokyu Department Store. Fare: ¥210/$2 (₱98) for adults , ¥110/$1 (₱52) for children. When to use: For Sapporo Beer Garden and Sapporo Factory. If you’re only going to use the loop bus twice, for example going to and from Sapporo Beer Garden only, pay the regular fare, no need for the 1-day pass. Yes, there are streetcars in Sapporo, and you can use it for getting to Mt.Moiwa Ropeway. Dosanka Pass: You can avail of this pass to get unlimited rides on streetcars for 1 day (Saturday, Sunday, and national holidays only). Price is ¥360/$3 (₱169). You can also avail of the group tours offered via Klook. This will save you time especially if you want to visit farther areas like Mt. Moiwa and Okura Stadium. You’ll never run out of things to do in Sapporo, the bustling city is packed with interesting man-made attractions, restaurants and department store, making it a pretty convenient base in Hokkaido. Here’s a list of some of Sapporo’s top tourist attractions. Proudly standing on the heart of the city, the Sapporo TV Tower is one of the most recognisable landmarks of Sapporo. It was designed by Tachu Naito, the same architect who built Tokyo Tower in Tokyo. The tower can be accessed by the public, including its observation deck that offers a scenic view of Odori Park and Sapporo city. For me, the best time to go here on winter is during daylight, when the mountains surrounding Sapporo and the streets are covered with snow. Odori Park, which means large street divides Sapporo into North and South. It’s quite a long stretch, but makes for a pleasant walk during summer or spring. It is the popular main location of Sapporo Snow Festival, held every February. Constructed during the early development of Sapporo as a drill hall of the Sapporo Agricultural College. Today, the Clock Tower houses an exhibit about the history of the building itself and a spacious ceremony hall. It’s walking distance to the Sapporo TV Tower and the Former Hokkaido Government Building. Sapporo is a shopping paradise. The city is peppered with department stores, shopping malls, and shopping streets! But arguably, the most famous to tourists is Tanukikoji Shopping Street, a roofed-arcade that was built about 150 years ago! A tanuki is a racoon dog, known for its cunning and lustful nature in Japanese mythology. Tanukikoji Shopping Arcade got uts name because it used to be frequented by prostitutes. Today, this place reminds me of Shinsaibashi-suji, Osaka’s shopping street. This 1-kilometer arcade is fringed by shops, restaurants, game centers, grocery stores, drugstores, and karaoke shops. Filipinos will certainly love this place as it houses a massive Don Quijote! A few meters away, you’ll also find the massive Daiso! If you plan on having seafood for breakfast, make time for an early morning visit to Nijo Market. Yes, it’s not just a market, you can also enjoy a delectable seafood donburi at one of the many restaurants in its narrow corridor – Noren Yokochi. This picturesque red American Neo- Baaroque building built in 1888 is now a famous tourist spot in Sapporo. Visitors can enter the building for free where an exhibit about Hokkaido’s history can be found. A street spectacularly fringed by Gingko trees leads to the Former Government Hall, an Instagram-worthy spot. Sapporo, along with Nagasaki and Kobe, was chosen as one of Japan’s new top 3 cities for night views, and one of the prefect places to experience that is on the 38th Floor of the JR Tower Observation. If you like ramen, this place is for you. You will find 8 of the top Hokkaido Ramen restaurants here such as Sapporo Ramen (miso), Hakodate ramen (shio) and my personal favorite – the Asahikawa Ramen (shoyu). Access: Sapporo Subway Station. It is located on the 10th floor of ESTA Complex. Home to about 4,000 variety of plants, the Botanical Garden of Hokkaido University is open to the public for a minimal fee. This sprawling university is a great place for a leisurely stroll as the its ground is dappled with note-worthy buildings and museums. Just in front of Hokkaido Botanical Garden, you’ll find an interesting exhibit of the Ainu robes and tools. You probably haven’t heard of the Ainu’s, as Japan has long been known for its homogeneity. But the Ainu people are the indigenous people of Japan, originally living in Hokkaido and Russia (the Kuril Islands and Sakhalin). They have long suffered discrimination since the government’s assimilation policy during the Meiji Period. Thankfully, last February, Japan government finally enacted a bill recognizing the Ainu as indigenous people of Japan. You can find several Ainu Museum in Hokkaido, but the Hokkaido Ainu Center is the most accessible in Sapporo and makes for a great introduction on the history and culture of the Ainu people. Access: From Sapporo Station, take the Sapporo Walk (Chuo Bus 88) in front of the South Exit of the Tokyu Department Store. Alternatively, it’s about a 10-minute walk from Higashikuyakusho Mae Station, Exit 4. This beautiful, nature-rich park is also home to some historical buildings such as the Hoheiken (Hokkaido Guesthouse), Hokkaido Museum of Literature, and the Watanabe Junichi Museum of Literature. Access: Nakajima Koen Station Exit 3. This Shinto Shrine was built in 1869 after the Meijo Emperor decreed that the 3 major gods be enshrined here to uplift their spirits. This shrine is shrouded by beautiful cherry and plum trees. This is the setting of the oldest festival in Hokkaido held every June 14 – 16. Access: 5-minute walk from Maruyama koen Subway Station, Exit 1 or 3. Access: Not necessarily near Maruyama Koen Subway Station, but from this station, take JR Bus 10 or 11 and alight at the “Moiwa sanroku ropeway iriguchi” stop. Alternatively, you can take the streetcar from the “Nishi yon chrome” stop and alight at the “Ropeway iriguchi” stop. Transit time is about 20 minutes. This ski jump stadium rose to fame when it was used during the Winter Olympics in 1972, it’s still working to date. But when there’s no ski jump events, visitors can access the observation deck via a chair lift to get spectacular view of Sapporo city. Below it is the Sapporo Olympic Museum showcasing exhibits of the 1972 Winter Olympics. Access: From Maruyama Koen Subway Station, take JR Bus 14. Get off at the “Okurayama kyogijo iriguchi” bus stop. It’s about a 10-minute walk from the bus stop. Spend a day in Snowmobile Land enjoying winter activities such as driving the snowmobile, snow rafting, snow banana boat, snow tubing, and ice cream making. They offer package tour that includes pick up and drop off at hotels in Sapporo, gear rentals – ski suit, gloves, snow boots, etc. Another fun activity in Sapporo is learning how to be a Ninja. We practiced the arts of ninjutsu and enhance our combat skills with the help of Japanese masters. Their location is sort of a secret, so if you book the Nina Experience, it includes a pick up and drop off in Sapporo. Enjoy smelt fishing in Sapporo, we tried it at Barato River and it was fun, a different experience for me. Known for its Shiroi Kobito cookies, the Shiroi Koibito Park is an Instagram-worthy theme park by Ishiya. During winter season, the park glitters with Christmas lights and Christmas decors. It’s a beautiful place to hang out and have some snacks, and of course, buy souvenir chocolates – a popular Sapporo souvenir. It’s tax free for purchases over ¥5,400. Make sure you bring your passport. Entrance Fee: FREE around the area with a shop, café and restaurant. Paid area for area with exhibits. ¥600/$5(₱282) for adults, ¥200/$2(₱180) (high school and children), FREE for 3-year-old and below. *It is currently free, not sure why, probably because the assembly line tours are closed until October 2019. Option 1:From JR Sapporo Station, take the train to JR Shinrinkoen Station. Fare is ¥260/$2 (₱122) (Covered by JR Hokkaido/JR Pass) and transit time is about 10 minutes. After exiting the track, the staff will check your train ticket. Look for the bus stop where buses to Hokkaido Historical Village stops. You should turn right (next to the toilet) and follow where it leads. The bus stop is on your right once you exit the train station. Take the bus to Hokkaido Historical Village, it’s the last stop. The 2nd stop is the Hokkaido Museum. Bus fare is ¥210/$2(₱98) and transit time is about 10 minutes. Option 2: From JR Sapporo Station, take the train to JR Shin Sapporo Station. Fare is ¥260/$2 (₱122) (Covered by JR Hokkaido/JR Pass). Alight at the last stop – ‘Kaitaku-no-mura” station. Walk downstairs to bus terminal, go to Gate 10. Ride the JR Bus 22. Fare is ¥210/$2 (₱98) and travel time is about 10 minutes, the Hokkaido Historical Village is the last stop. Before or after you explore the Hokkaido Historical Village, you can pay a visit to the nearby Hokkaido Museum, oozing with exhibitions about the culture, nature and history of Hokkaido. Open Hours: Closed on Mondays. Access: See directions above for Hokkaido Historical Village but you need to get off at the 2nd bus stop for Hokkaido Museum. A pretty popular day trip from Sapporo is Otaru, known to Filipinos as the movie setting of the hit film “Kita Kita”. The movie could mean “I Saw You”, but since “Kita” also means North, it could also be interpreted as “Saw you in the North”, since Hokkaido is located in northern Japan. The charming port town of Otaru is peppered with age-old warehouses, Western style buildings, and canals. Otaru was also an erstwhile financial center, once dubbed as the Wall Street of the North. But when its economy plummeted due to fishing decline, Otaru turned the glass-making industry for squid fishing to creating art and fashion objects. You will stumble on many boutiques selling jewelries and art objects made from glass. Don’t miss the Otaru Music Box that houses over 25,000 music boxes! Otaru is actually an erstwhile trading and fish port. The famous Otaru Canal is fringed by age-old warehouses and old government buildings. But don’t miss the Otaru Music Box that houses over 25,000 music boxes! Access: From JR Sapporo Station, take a train bound for Otaru Station. Travel time is about 1 hour. Fare is ¥610/$5 (₱287). From Otaru Station, the Otaru Canal is about a 12-minute walk. Otaru Music Box is 5-minute walk from Minami-Otaru Station. This is covered by JR Hokkaido Pass or JR Pass. Otaru Day Tour. 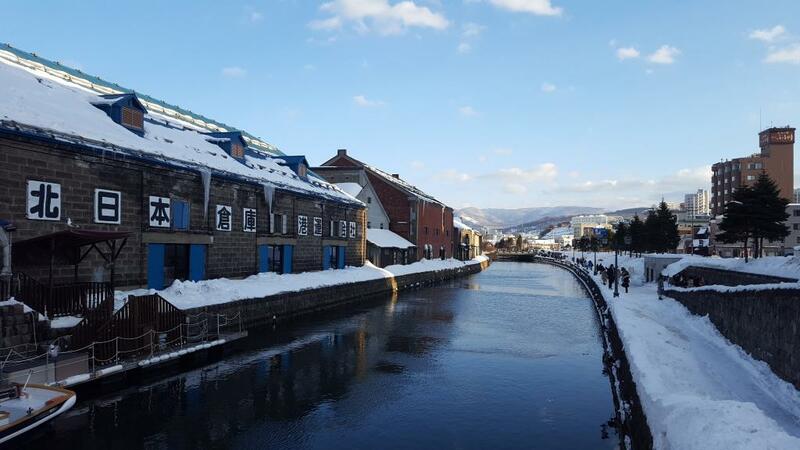 If you want a cheap, hassle-free day tour of Otaru, you can avail of the tour package offered by Klook, which includes an in depth-tour of Otaru, a visit to Yoichi Distillery – Nikka’s Whisky Factory, and a side trip to the lovely Shirio Kobito Park. This national park is a beautiful side trip when in Sapporo. It is oozing with mountains, forests, hot spring resorts and volcanoes. This place is known for the Lake Shikotsu Ice Festival held every February. Don’t miss it as entrance fee is only ¥350/$3 (₱154). Access: From JR Sapporo Station, ride a train to New Chitose Airport. Fare is about ¥1,590/$14 (₱748) (covered by JR Hokkaido Pass). At the airport, you can take the bus to Lake Shikotsu for ¥1,030/$9 (₱485). Alight at Shikotsu Bus Stop. Travel time is about 1 hour. The lake and the ice festival is about a 3-minute walk from the bus stop. Since there is no direct access between Lake Shikotsu and Lake Toya, it’s practical to avail of the Lake Shikotsu and Lake Toya Winter Tour from Sapporo. This is seasonal though, usually offered during the Lake Shikotsu Ice Festival. A popular day trip from Sapporo is the Usuzan Ropeway to enjoy a panoramic view from the ropeway and visit an active volcano at the UNESCO Global Geopark. Access: From JR Toya Station, go to Showa Shinzan by Donnan Bus (about 45 minutes). Change bus at Toyako Onsen Bus Terminal. Take note though that there is no bus during winter (November to April). Located in the lush, jungle forest of Hokkaido, Jozankei Resort and Spa is a popular onsen that can be done as a day tour from Sapporo. If you want to rejuvenate your body and mind in a Japanese onsen (hot spring), this is a perfect place to do just that. A convenient way to access it is by booking a day tour from Sapporo that includes bus, buffet, and onsen package. For those traveling with kids, this is a popular side trip. Asahiyama is known for its penguin walk and other winter animals such as polar bears, fox and seals. Though I am not really a fan of zoos, Japanese zoos are generally well-kept. 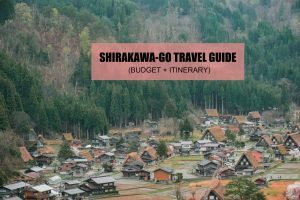 You can do a DIY trip from Sapporo, but a practical way is to avail of a tour package from Sapporo via Klook since it includes other costly and hard-to-reach attractions such as the gorgeous Shirogane Blue Pond, the frozen Shirahige Falls and a stroll along the Ninguru Terrace. Access: From Sapporo Station, take a train bound for Asahikawa Station, this is covered by JR Hokkaido Pass. Fare starts at ¥5,010/$45 (₱237), one way. At Asahikawa Station, take a bus bound for Asahiyama Zoo at Bus Stop 6, fare is ¥440/$4 (₱207) and travel time is about 30 minutes. Entrance fee is ¥820/$7 (₱386) for adults and FREE for children aged 15 years old and under. Don’t forget to grab a brochure with a map. Tip: If you don’t have a JR Pass/JR Hokkaido Pass, best to do this via tour package so you can save a few bucks and still visit other attractions. Another personal favorite because you can find many affordable shops here, like the really huge Don Quijote. One of my favorite shopping malls in Sapporo, as many shops sell reasonably-priced and good quality apparels. Bought 2 stylish, affordable coats here. If you are traveling during winter and you need Uniqlo heattech for your layers, it’s cheaper to buy in Sapporo. Once you arrive in New Chitose Airport, look for the Uniqlo store. The price is almost half compared to Philippines. There are other branches in Sapporo of course, but I only bought from their airport branch. This sprawling store not only sells electronics, but it also sells, toys, home appliances, and other goods. There’s one near JR Sapporo Station. If you plan on buying something there, make sure to avail of the discount coupon below. It’s FREE. Another camera shop, but I bought my large suitcase here. There’s one near JR Sapporo Station. Sapporo is known for its miso ramen. Sapporo is also the birthplace of soup curry. I only tried it as Crazy Spice Kita Juurokujou, but it’s more like an Indian curry. I was told the Sapporo soup curry is different. A pretty popular dish in Sapporo that is composed of lamb or mutton grilled on a convex iron plate along with some vegatables. Sapporo and Japan in general is known for its fresh seafood and crab tops the list in Sapporo, with many varieties like the hairy crab and snow crab. There are some restaurants in Sapporo offering unlimited crab, grilled or hotpot. You can also enjoy a deluxe Suzukake Queen Crab Hot Pot Course in Sapporo, only 2 minutes away from Susukino Station. Sapporo has some of the finest sushi in Japan, if not the world. And you can enjoy them best at conveyor-belt-style sushi restaurants. Otaru is also a good place to try the sushi. The sample Sapporo itineraries below only cover Sapporo and nearby destinations. I will write another blogpost for Hokkaido itinerary. *Sample budget doesn’t include hotel, airfare, terminal tax, and shopping expenses. This sample Sapporo Itinerary is perfect for those on a tight budget as I included mostly FREE tourist attractions in Sapporo. Go to International Airport Arrival Lobby to collect Klook products, e.g Wi-Fi, Kitaca card, etc. Get luggage at Otaru Station. Walk or subway to hotel. Walk back to Odori Station. Take Tozai Line subway to Minayosawa. Walk to Hokkaido Shrine. 15 minutes. Take Tozai Subway Line to Miyanosawa Station. 10 mins. ¥250 (₱117). Get off at Miyanosawa Subway Station. Walk for about 7 minutes to Shiroi Kobito Park. Subway to Sapporo Station. 23 mins. ¥290 (₱136). 1.Walk to Miyanosawa Subway Station. 7 mins. 2. Take Tozai Line Subway for ShinSapporo Station. 3.Get off at Odori Station. 15 mins. 4. Transfer to Namboku Line to Sapporo Station or whatever station is near your hotel. Back to hotel. Pack bags. Walk back or subway to Sapporo Station. Flight back to Manila via Tokyo. This sample Sapporo Itinerary is perfect for those on a tight budget as I included mostly FREE tourist attractions in Sapporo. But I also made sure to insert the Sapporo tourist attractions from the movie Kita Kita. 01:00 PM Otaru Station. Leave luggage at locker. ¥700 (₱329). 06:00 PM Get luggage at Otaru Station. 08:30 AM Take JR Bus 10 or 11. Alight at the “Moiwa sanroku ropeway iriguchi” stop. 08:40 AM Walk for about 10 minutes. 08:50 AM Take the Ropeway + Mo-ris car for ¥1,700 (₱799). 10:10 AM Walk to Sapporo Fushimi Inari Shrine. Use Google Maps. 10:30 AM Sapporo Fushimi Inari Shrine. Photo op. 11:00 AM Walk back to Moiwa sanroku ropeway iriguchi bus stop. 11:10 AM Take bus 10 or 11 to Maruyama Koen Station. 11:30 AM Walk to Hokkaido Shrine. 15 minutes. Get off at Sapporo Biruen stop. 7 minutes. 07:00 PM Ride Chou Bus Loop 88 Factory Line to Sapporo Station. 07:20 PM Walk back or take subway near hotel. 07:10 AM Walk to Nijo Market. 08:10 AM Walk back to Odori Station. 1. Subway to Odori Station. 3. Get off at Miyanosawa Station. 04:20 PM Walk to Shiroi Kobito Park. 7 mins. 04:30 PM Shiroi Kobito Park. FREE. 06:30 PM Walk back to Miyanosawa Station. 7 mins. 2. Transfer to Namboku Line to Sapporo Station. 3. Get off at Sapporo Station. 08:00 PM Back to hotel. Pack bags. 10:50 AM Walk back or subway to Sapporo Station. 11:40 PM New Chitose Airport. 03:15 PM Flight back to Manila via Tokyo. Or subway to Sapporo Station. 01:40 PM Walk for 2 minutes to Sapporo Bus Terminal via South Exit. 09:00 PM Hotel check-in. Sleep. 03:30 PM Explore and walk to Otaru Canal. 12 mins. 06:00 PM Walk to Minami-Otaru Station. 12 mins. 07:20 PM Alight at Sapporo Station. 08:00 PM Back to hotel. 08:40 AM Subway to Miyanosawa Station. ¥290 (₱136). 1.From Sapporo Station, subway to Odori Station. 2.Alight at Odori Station, transfer to Tozai Subway Line to Miyanosawa Subway Station. 3. Get off at Miyanosawa Subway Station. 4.Walk for about 7 minutes to Shiroi Kobito Park. 3.Get off at Odori Station. Transfer to Namboku Line to Sapporo Station or whatever station is near your hotel. 10:30 AM Back to hotel. Check-out. Here’s a sample Sapporo itinerary for 6 days and 5 nights. This will only cover Sapporo Area + Otaru. This itinerary is recommended if you will be traveling in Sapporo during winter as I included here mostly winter activities. 07:30 PM Ride Chou Bus Loop 88 Factory Line to Sapporo Station. 08:00 PM Walk back or take subway near hotel. 11:00 AM Walk to Sapporo Station. 01:50 PM Alight at Shikotsu Bus Stop. 02:30 PM Walk to Lake Shikotsu. 5 minutes. 05:30 PM Walk back to Lake Shikotsu bus stop. 06:45 PM Get off at Minami-Chitose Station. (It’s nearer to Sapporo). 09:00 AM Board service bus at hotel in Sapporo City. FREE with tour. 10:30 AM Snowmobile for 60 minutes. 12:00 PM Snow park experience: snow rafting + snow banana boat. 01:30 PM Travel back to Sapporo. 08:30 PM Walk back or take subway near hotel. 10:00 AM Ice Fishing and tasting smelt fish tempura. 105 mins. 01:30 PM ETA Sapporo Station. End of tour. 02:00 PM Back to hotel. Freshen up. 04:50 PM Shuttle bus back to Sapporo TV Tower. 05:30 PM Walk to Odori Station. Take Exit 10. 07:40 PM Walk to Ramen Alley. 08:30 PM Walk to Susukini Station. 09:30 PM Back to hotel. Pack bag and sleep. When planning my itinerary, I use Hyperdia, but when I’m on the road already, since it isn’t mobile friendly, I use Google. It’s really helpful as it will provide you the platform #, train schedule and fares. So, make sure you are connected online when traveling around Sapporo. If you’re only traveling in Sapporo and Otaru, no need to buy JR Hokkaido Pass. Use Kitaca Card instead. Tipping is not common in Japan, it’s more of an insult in their culture. If you wish to tip or give something, never give money. Buy pasalubong/gift for your Japanese friend instead. Avoid being too loud inside the train or subway. Avoid taking phone calls inside the train and subway. Do not eat on subways, but it’s okay to eat and drink on long-distance trains. When using the elevator, keep LEFT if you’re not moving. Smoking in public is prohibited in Sapporo. Use the designated smoking areas. Big backpacks are frowned upon on subways especially during rush hour. Be aware of people at your back, make sure you’re not hitting anyone in case you are carrying a big bag. Vending machines serve cold and hot drinks. Those in Blue light means cold, while Red light means the drink is hot. Be careful when walking on ice or snow. It can be pretty slippery. I slipped once and almost broke my arm. You can buy anti-skid (anti-slip) for your shoes. Heatpacks are really helpful during winter. You can buy them at drugstores and convenience store. Heattech and other Uniqlo layers are way cheaper in Sapporo! You can buy some at New Chitose Airport upon your arrival. Winter jackets, coats, and boots are also cheaper in Sapporo especially if you’re traveling mid-February or late February to March when items are on sale already. I suggest you buy your winter outfits in Sapporo, just bring one jacket and then allot half day for shopping when you arrive. See my recommended shopping areas above. Disclosure: Our trip to Sapporo was made possible by Jetstar and Hokkaido Tourism. But I also extended my stay in Sapporo using my personal fund and revisited Sapporo on my own.